High grades. An elusive dream? It is not uncommon to find many students say that one of the most stressful experiences in their life is getting good scores in the highly tough and competitive exam milieu in the UK. 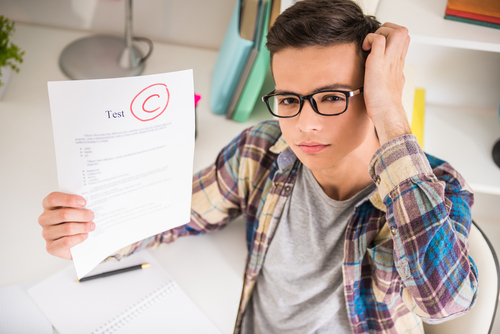 Most students will have this question buzzing in their mind: how to get good grades without getting stressed out and with minimum revision?One of the most important things which students need to do is to learn to relax and not get stressed. The more you stress yourself, the less prepared would your mind be to study. Stress can come about as a result of fear and anxiety of exams, perfectionism, poor study habits, lack of confidence. Letting go of all this by developing positive thinking, relaxation and meditation techniques can help focus you on the task at end and help sharpen your thinking and concentrate better. The answer to this comes from research carried out by educationers and psychologists on learning and behavior. It seems that one of the things which can be done by students is to practice, practice and practice. Watching others’ practice and then trying them out, can train and retrain the mind to think on the same way. Studies have shown that it is not about how much practice you have in a short amount of time that matters; but about how well you space that practice in the time you get. The more you space your revision and practice sessions, the better you would score. This may be due to the fact that the brain gets time to absorb, reabsorb and store the new information during these gaps at its own pace. Hence, avoid last minute studying, late night studying, binge studying as all these would lead to enormous amount of information being forced on your brain! This may prove to be counterproductive.